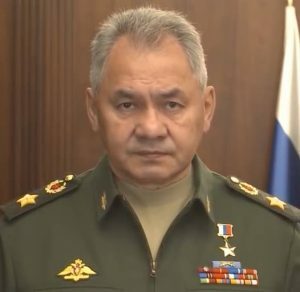 ER Editor: To the question why didn’t Russia provide Syria with the S-300 air defense system long ago, Sergey Shoigu, the Russian Defense Minister answers that question in the short video below: because the Israelis requested they not do this back in 2013. Remarkable. See also this RT video report on the matter. It goes without saying that while these new capabilities will be deployed in Syria in response to the Israeli actions, they will also dramatically boost the Syrian capabilities against any potential aggressors including the USA and US client states. The S-300s will make it possible for the Syrians to detect and even track the Israeli aircraft right after their take-off and while still in Israeli air space. While the Russians have not indicated which automated air defense management system they plan to deliver to Syria, it is likely that this is one which is typically used to control the engagement of S-300 and Buk air defense systems, the Poliana D-4. The delivery of this system will dramatically increase the air defense capabilities of the Russian task force in Syria making it much harder for Neocons à la Bolton to target Russian forces. I have to admit that I am surprised by the magnitude and quality of this response. Clearly, the arrogance of the Israelis did not pay off, and this time their usual chutzpah was met with a great deal of Russian anger (albeit carefully controlled anger). For Bibi Netanyahu, the Russian reaction is an absolute disaster because it undermines his entire policy towards Syria (and Lebanon and Iran). The Israeli strikes (over 200, of which they bothered to notify Russia in only about 10% of the cases) did not yield any tangible benefit for Israel, but has now fundamentally undermined Israel’s relationship with Russia. As I have said it many times, for all their self-serving propaganda about being so smart, the Israelis are actually pretty incompetent, being blinded, as they are, by their quasi infinite arrogance. However, please keep in mind that in warfare, there is no such thing as a magical silver bullet. For one thing, the Israelis will still have the option of attacking targets in Syria (be it by using aircraft, or missiles, including sea-based), but the difficulty of successfully executing such an attack will increase by an order of magnitude. The same also goes for the US/NATO/CENTOM/etc. One option would be to go for a saturation attack by using very large number of missiles since the Syrian and Russian capabilities are still limited by numbers: even in an ideal situation (excluding EW capabilities), that is even if the kill ratio of Russian missiles is 1:1, the Russians will only be able to shoot down as many enemy missiles as their supplies allow. The US+Israeli missiles supplies in the region are far bigger. Second, both the US and Israelis have very sophisticated EW warfare capabilities and rest assured that they will use them if needed. Yes, the Russians are qualitatively ahead of other countries in this field, but one should never underestimate the capabilities of the bad guys.